Of all the obstacles that come about in the natural world, snow is probably one of the most difficult to deal with. While you can break down a fallen tree with a chainsaw, snow is still one of the few natural occurrences that can end up planning your day for you if you’re not careful. That’s why having a dependable snow blower is essential. If you live on the East Coast, one of the best snow blowers is the Sno Tek 24. Use this Sno Tek 24 review to determine if this snow blower is the best option for you. When it comes to finding a snow blower that can help you do as much as possible in as little time as possible, then the Sno-Tek 920402 is the way to go. This product comes with a simple to use electric start system, which is perfect for starting the machine quickly and easily. But what makes the Sno-Tek really stand out? The product is ultra powerful, with the ability to throw snow up to 30 feet away. Even better, the snow coming out of the poly﻿﻿me﻿﻿r chute is easily controlled via a remote deflector. Unlike other machines, which usually rotate 180 degrees, this chute can rotate up to 205 degrees. The unit also features six speeds, making it ideal for doing very quick snow removal or more thorough jobs as well. Why choose Sno Tek 24? The Sno Tek 24 is very user-friendly and makes clearing snow a breeze. While it’s not a professional grade machine by any means, it’s perfect for clearing areas like your driveway, neighborhood street, yard, or patio. Additionally, this machine is simply designed to handle snow. With features like a steel dash panel that protects the operation controls from weather damage, you can tell that this product is meant to be around for a long time. There are a few features that make the machine very unique, which includes control levers that lock into place allowing you to always have one hand free (unless you're left-handed). This can come in handy (no pun intended) when it comes to making adjustments to the chute. Another thing that really sets this product apart is the fact that it’s made by Ariens. When it comes to snow blowers Ariens is considered one of the best, and was rated by Consumer Reports as one of the Top Picks. Ariens products are recognized across the globe for their innovation and high-quality design—the Sno Tek 24 embodies all of these qualities and more. However, while these attributes might make this particular unit appealing, we’ve only just scratched the surface of all the benefits it can provide. What’s more, this unit features both one and two-wheel drive, which is beneficial for wading through heavier snow. Adjusting between these two settings proves to be simple and fast as well, requiring no tools for the change. What are the pro’s and con’s? 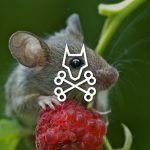 Whenever you’re deciding whether or not a particular product is for you, the best thing to do is weigh what the perks are and what the downsides are. · Lightweight design. One of the best qualities of the 24 is how incredibly light it is compared to other models, especially when compared to professional grade models that can weigh over 350 pounds or more. This product only weighs 206 pounds. · Easy to maneuver. The lightweight structure also makes this unit very easy to angle around and walk around within residential areas. · Perfect range. One of the most frustrating things about owning a snow blower is that sometimes they don’t blow the snow nearly far enough. When you’re trying to clear large amounts of snow, this can be especially irritating because it can actually cause you to pick up the same snow twice. With this product, you never have to worry about that. It throws snow at a far enough distance where it’s out of your way and allows you to create a path. · One run and done. 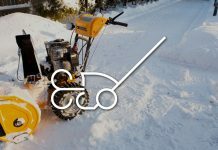 While smaller machines are typically more economical in terms of price, they can take a ton of time to clear snow all the way to the pavement. In fact, you’ll find that you’ll usually have to conduct multiple passes over the same areas to get down to the pavement, especially in severe weather conditions. That’s not the case with this unit since it has a tall clearing range of 20 inches and 24 inches wide. · Loudness. Unfortunately, this machine can be pretty loud during operation—a fact that your neighbors might not appreciate—especially in the wee hours of the morning. This one flaw is fairly overlookable compared to the considerable amount of amazing qualities this unit has to offer—especially considering the price. How does it fare with other lines snow blowers of the same price range? When compared to products of its same standard, you’ll find that the Sno Tek is moderately priced given the number of quality features it has to offer. Other blowers with similar functions, such as the PowerSmart DB7651 or the Husqvarna ST224P, range in price from $700 to $1,000. Even when we pit the sno tek 24 vs ariens compact 24, this unit is still cheaper. Retailing at about $800—depending on the seller—the Sno-Tek proves to be the best of both worlds. You get the great functions that you would find in a more expensive snow blower, but also you get a moderate price that won’t eat up a large portion of your paycheck. Considering that snow blowers are only used seasonally (and typically only after your regions gets a significant amount of snow) this unit proves to be the better option for residential users. What's the Sno Tek 24 best used for? If you’re a homeowner, or if you live in the suburbs, you’ll find that this snow blower is perfect for you. This model works like a charm in areas that get moderate to heavy snowfall. Simply put, with this product you can clear a lot of snow in less time compared to what smaller, inexpensive units can accomplish. According to the majority of Sno Tek 24 reviews, this unit works best at moving snow in areas like your driveway, yard, sidewalks, and even gravel driveways. How is its build quality? So one of the biggest (and most logical) concerns among any consumer considering a snow blower is durability. Of course, you never want to buy a product (particularly a more expensive product such as a snow blower) that proves to be poorly made and doesn’t last. 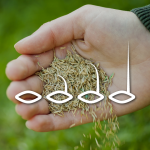 At the end of the day, the thing that really determines durability is build quality. The better a product is built, the longer it will last. Like a lot of high-quality snow blowers, the sno-tek has an all-steel frame and steel augers. It also features an excellently manufactured aluminum gear case. Inside that gear case, you’ll find steel gears, which work to process even moist snow quickly and are more resistant to damage. Another component among the Sno Tek 24 blower parts that’s very handy and unique is the lever that adjusts the chute. While operating the unit, this feature proves to be far more user-friendlier compared to other products that require users to lean over the entire machine and manually move the chute. Can it be used to clear wet or heavy snow? According to Sno Tek 24 reviews, only real downside to this product is that it doesn't handle wet snow as well as it does fresh snow. Most users report that this product is a champion in terms of throwing fresh snow. However, that doesn’t mean that it can’t handle wet snow or even compressed snow. It just means that it take the product longer (and uses up a bit more energy) to process those different forms of snow. How long does it take before I need to replace my unit? The build and design of this machine indicate that it has the capacity last for quite a while. Although some sno tek 24 reviews suggest that problems with the engine can cause this product to stop working after a period of 2-3 years, there could be several factors that go into that issue—especially since these reports are few and far between. However, this machine is designed to last much longer than that. Factors that can equal a shorter lifetime for this unit are maintenance and care. Remember, like all heavy-duty machinery, you want to take care of the unit. Never leave it exposed to the weather, always make sure you're putting the right amount of fuel, and never neglect to add fuel. More importantly, before starting or operating your machine, make sure you carefully review the Sno Tek 24 manual. 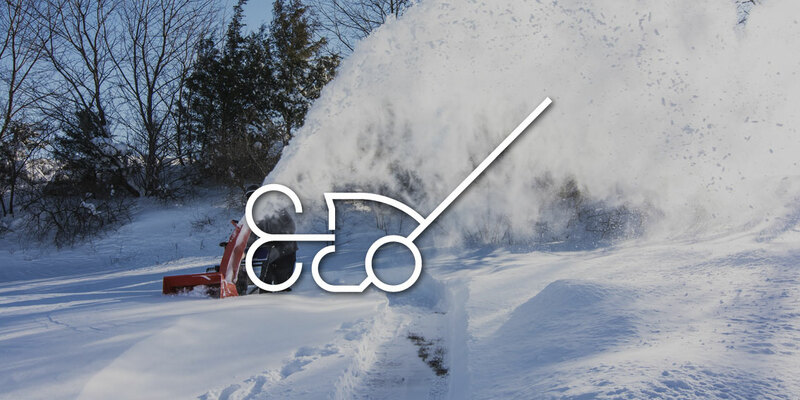 Even if this isn’t the first snow blower you’ve owned, a look at the manual can help you understand certain care factors that may be unique to the brand or unit. Another factor you shouldn’t overlook is your warranty. Carefully review the warranty and inspect the machine before use and during use (especially for the first few rounds). 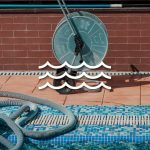 Avoid using the product in a way that could invalidate the manufacturer’s warranty. Defects can become apparent at any time, so you want to make sure that if the engine has a fault, you’re covered by a warranty. With the right amount of care, you’ll find that this unit can last for years. In fact, the better maintenance you provide this machine, the longer it will last. 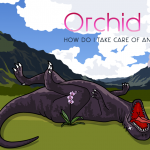 So if you really want to get your money's worth, make it a habit of taking good care of this product. You won't be disappointed. What to do to avoid damaging your Sno Tek 24 snow blower? 1. Never use ethanol fuel. Ethanol can easily corrode parts inside the carburetor over time. Use the fuel recommended in the owner’s manual. 2. Regularly change the oil. A Sno Tek 24 oil change can do a lot of good for the engine, especially if the fuel you’re using has been inside the machine for a while. 3. Clean off caked on snow. One thing that can do the most damage to any machine is snow that’s been on it for a while. Remember, machinery and water don’t usually mix, and snow can easily become water. So, after each use, clean off your machine to avoid damage. How do you maintain your Sno Tek snow blower when storing? 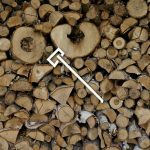 Before storing your machine, you need to take the proper measures to ensure that you’ve stored the product in the safest way possible. Firstly, never store a product with fuel inside. Always drain the fuel before using. Secondly, you want to add oil the gears. This will ensure that the next time you pull it out, your machine is ready to go and won’t suffer any damage. If you plan on storing the fuel as well, make sure you add fuel stabilizer to the mix. Overall, the Sno Tek 24 is a well-made machine that can get you through many winters. 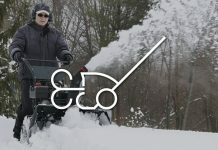 Its unique design makes it one of the best snow blowers on the market, especially for homeowners. Whether or not this proves to be the product for you, there’s a lot that you can take away from examining the specs on this snow blower. 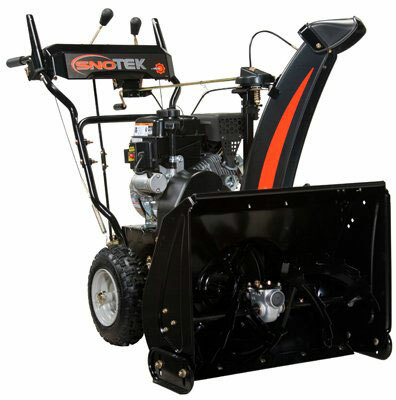 The sno-tek snow blower proves that quality doesn’t have to be expensive. So, whether you’re shopping for your first snow blower or your third, don’t feel like you have to compromise on price or quality. Truly high-quality products are both affordable and well-made, so hold out until you find the right one for you.